Looking to stop steeple leaks? 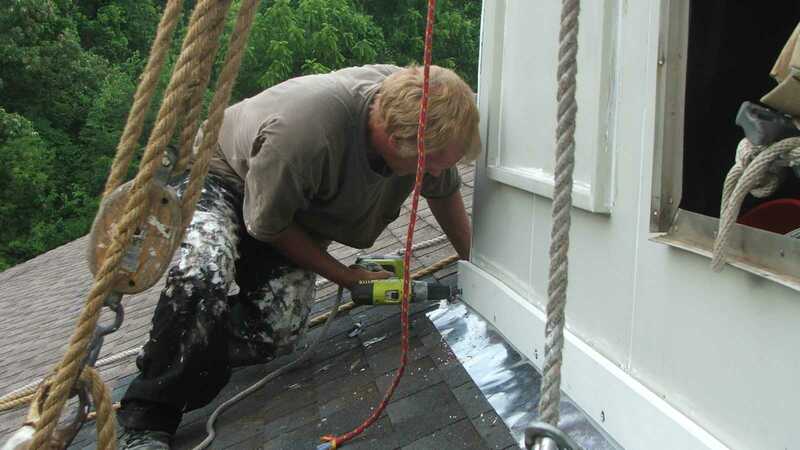 Finding and repairing a steeple leak... the proverbial needle in the haystack. Though magnificent monuments to the Lord the steeple is prone to leaks. The constant exposure to the elements takes it's toll as seams fail, pieces come loose and sealants age. 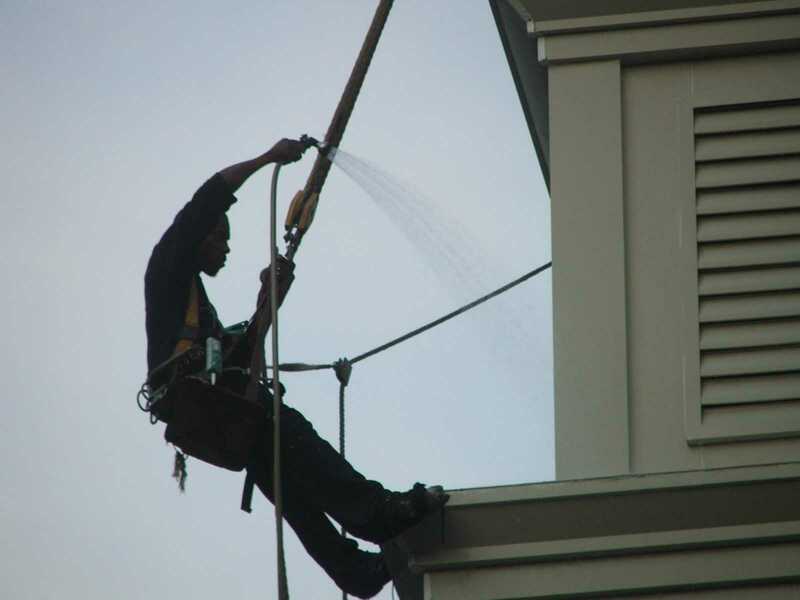 However, the steeplejacks of Inspired Heights are skilled in finding and repairing those stubborn steeple leaks. 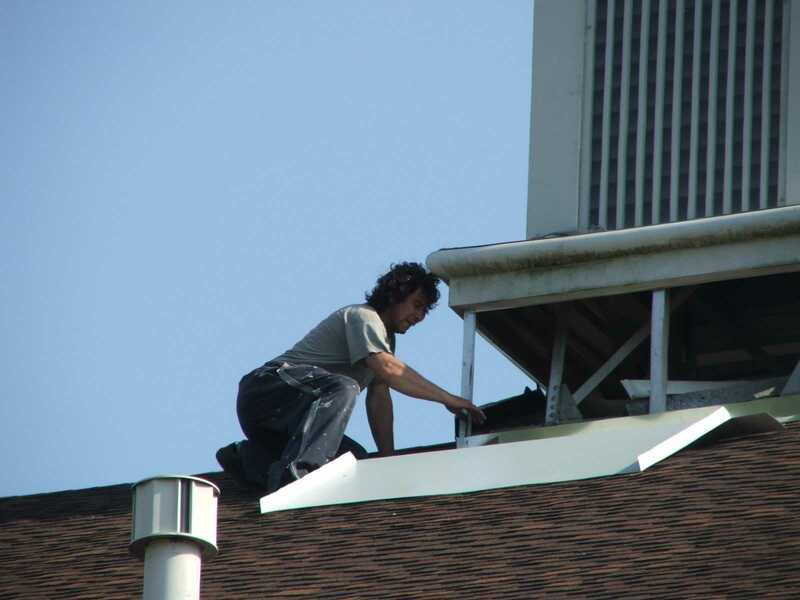 A small 1/4" gap hidden on the church steeple can allow gallons of rainwater to enter your church causing serious damage, both cosmetic and structural, but the experienced steeplejack knows where to look. 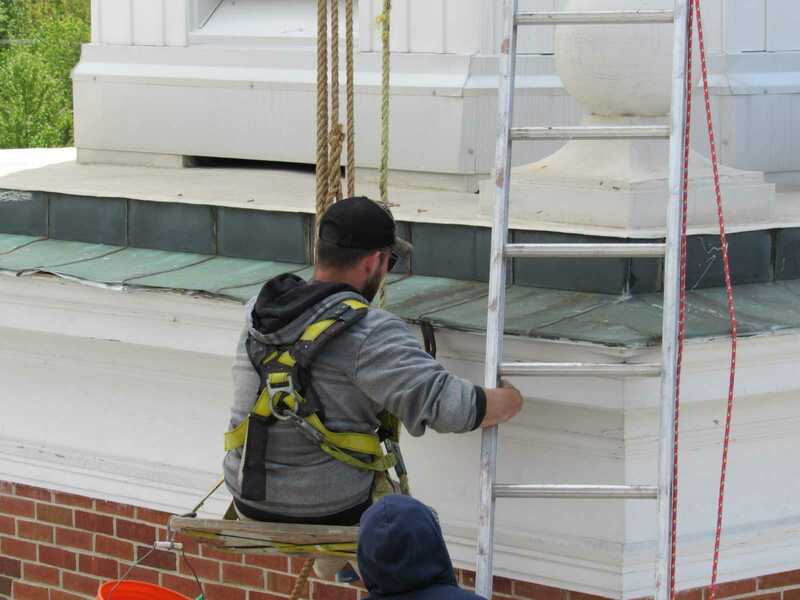 On our steeple leak repair projects we understand that there may be several sources of leaks and they may enter in one section and flow down another. Therefore, we systematically go over the entire steeple making repairs as needed until we believe we've found them all and then we go over the steeple again testing for any leaks that may have been missed. 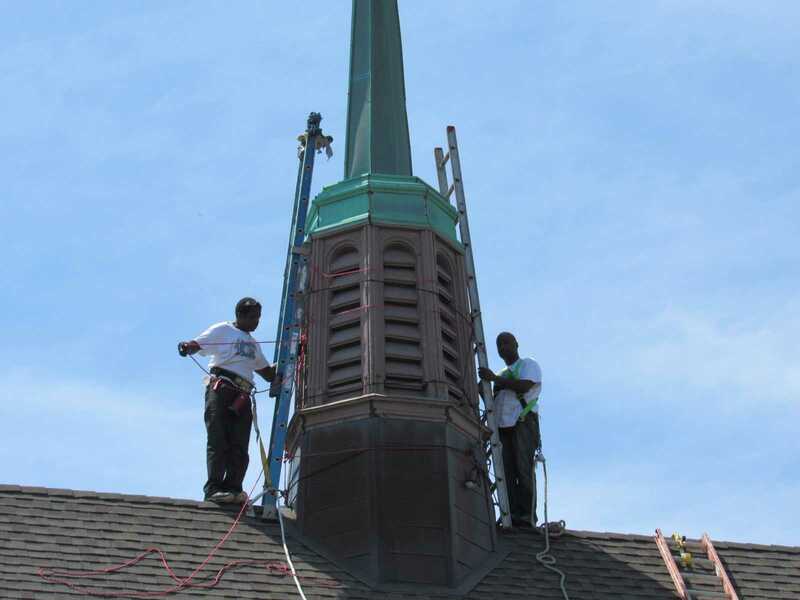 So if your steeple has been leaking and no one has been able to stop it perhaps you need the experienced steeple workers of Inspired Heights.